On Tuesday, August 23rd I had the privilege of giving my talk on our Fusion-Enabled Pluto Orbiter and Lander at the 2016 NIAC Symposium. The video of the LiveStream is now archived and available for viewing. My talk starts at 17:30 minutes in, after Michael VanWoerkom’s NIMPH talk. The talk was well-received and we had some good questions from the audience and the LiveStream. In retrospect I did wish I had added a slide on our overall program plan in terms of the PFRC machine and temperature and field strength, since I got quite a few questions on those specifics at the poster session. PFRC-1 demonstrated heating electrons to 0.3 keV in 3 ms pulses. The goal of the current machine – PFRC 2 – is heating ions to 1 keV with a 1.2 kG field. The next machine I refer to in the talk, PFRC 3, would initially heat ions to 5 keV with a 10 kG field, and towards the end of its life we would push the field to 80 kG, heat ions to 50 keV, and add some helium-3 to get actual fusion events. 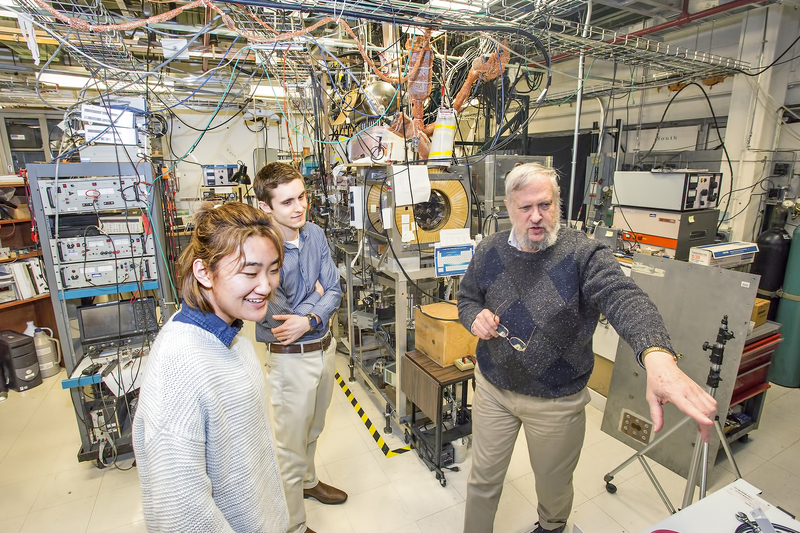 The final goal would be 100 second-duration plasmas with a fusion gain between 0.1 and 2. A completed reactor would operate in steady-state. Thank you NIAC for this opportunity!! We are very pleased to announce that Ms. Stephanie Thomas of Princeton Satellite Systems has been selected to be a 2016 NIAC Fellow. This Phase I study, entitled “Fusion-Enabled Pluto Orbiter and Lander,” will explore the possibility of using Direct Fusion Drive (DFD) to deliver an orbiter to Pluto complete with a lander. 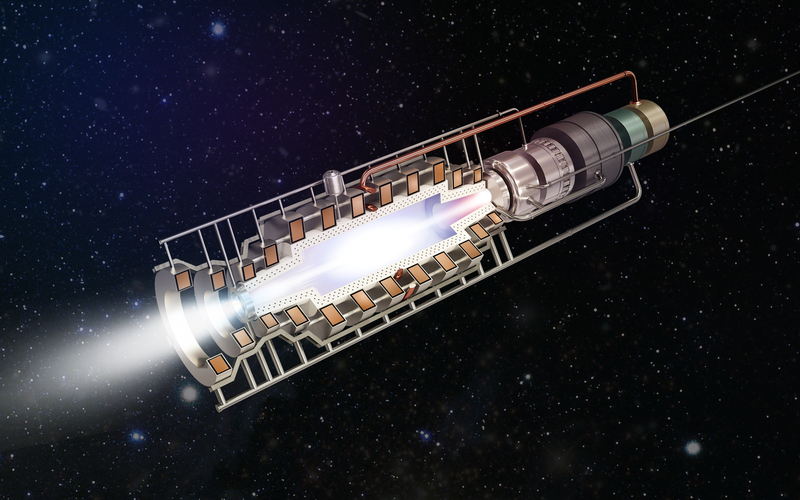 DFD is a fusion propulsion concept built upon a small, clean field-reversed configuration fusion reactor with a naturally linear geometry. The reactor becomes a rocket engine when additional propellant flows through, providing power as well as propulsion in one integrated device. This engine could halve the transit time to Pluto to 5 years from the nearly 10 years needed for New Horizons, while delivering 1000 kg worth of payload into orbit and providing up to 2 MW of power. This will enable remarkable data collection such as high-definition video and drilling into the planet’s surface. The technology provides a path to terrestrial fusion as well as eventual human missions across the entire solar system. The Phase I study will focus on creating higher fidelity models of the engine performance to enable optmization of possible mission trajectories and better quantification of the predicted specific power.